Really, there’s probably a couple months of material to finish. This isn’t a short arc. But it’s time. We’ve reached that point I warned you about a year ago. So here’s to a grand finale! And yes, it took far too long, but I’m giving the fandom a name. You can leave comments by clicking here, leave a trackback at http://supervillainous.spiderforest.com/comic/end-of-the-year-end-of-the-line/trackback/ or subscibe to the RSS Comments Feed for this post. So will every character seen throughout the series (or at least most of them) be making an appearance during this arc? One little break before the final push, eh? Well, I’m sure I’ve already said this but if I trust anyone to give us a satisfying ending, it’s you. I’m kinda looking forward to it but at the same time, not. I get that all things must end but damn. This has been something I’ve looked forward to every week since my sophomore year of high school. I’m in college now and it’s gonna be weird when this is finally gone. Well. I guess I’ll have something else by you to look forward to, if I remember what you said right. Feel better soon. And have a happy new year. No worries. Repeat after me: Worth. Waiting. For. Take the rest and recuperation you need, come back when you’re ready. Safe bet most of us will still be here. Happy New Year! 100% agree with this. Take all the time you need to feel better as your stuff is definitely worth the wait and not worth sacrificing your health for. I’m sad its ending. i love your drawing style and sense of humor. do you have any plans for a different comic once you end this one? I do have a new project in the works. It’s looking like it might take a bit of time to get it going once SV ends, but it’s going to be different and separate from this comic. I just wanted to say thank you. I’ve been a fan of this comic for a long time and will still go on archive binges of it. Will we ever see the conclusion of Meat’s story? Also do you have any other plans after this comic?I love everything about, from the art to the humor. Thank you for the art. Additional thanks for thinking of us. Enjoy the time off! I… I just figured the fandom would be Henches. While I am sad that this comic is ending, I think that one coming to a well thought out conclusion is better than having one shoehorned in at the last moment or just slowly dying out without one. Two of my favourite comics have ended that way, which is kinda why they are among my favourites. I haven’t heard anyone talk about Dominic Deegan for quite a while. 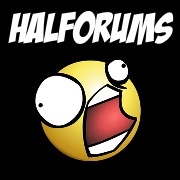 Were you a member of the webcomics’ forums? Meanwhile, I appreciated the guest art you contributed to Arbalest this week. as much as I love this comic and hate to see it end, I do appreciate a satisfying ending. Thanks for coming up with an end for the comic rather than just abandoning it. It makes the whole thing so much better when artists do that. Be sure to let us know if you start a new comic or anything! Ah, man, that’s sad, but I completely understand. Thanks for all of the laughs. Looking forward to see how you end this.